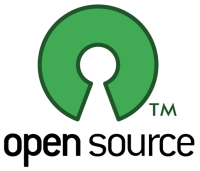 Participating in and maintaining open source projects is great fun, much rewarding and very educating. One thing you always want is bug reports from users who suffer from problems, as you cannot fix problems unless you know they exist! Sometimes the bug is even fixed by the distro people and they make a newly built version available, featuring that patch, but the patch isn’t forwarded upstream either! People discussing the project in another list or forum where they are users of it. They talk about workarounds etc and sometimes even talk about “known bugs” and “existing flaws” but without ever reporting them to the originating project so they aren’t fixed. They may thus be known to the subgroup there but not upstream. This is my cry for how this situation can be fixed: make sure that problems you know of are reported upstream to the actual project working on the project. Don’t assume that reporting it to your distro or to your neighbor is enough!